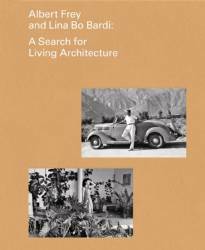 A study of the parallel lives of two mid-20th-century architects, Lina Bo Bardi and Albert Frey. Although they never met, both were immigrants to the Americas from Europe whose innovative approaches to design formulated a new, living type of modernism in Sao Paulo and Southern California, respectively. 192 pages. Bw & color illustrations and photos.